The Healthy Communities Program works with a variety of partners including elected officials, county staff, city staff, community organizations, schools and residents. Together, we assist cities and neighborhoods to improve health and quality of life for residents by reducing traffic injuries, community violence, and exposure to second hand smoke and lead. We also provide assistance in promoting physical activity and access to healthy food. Auto-centric neighborhoods expose pedestrians, bicyclists and others to car crashes—the leading cause of unintentional injury death. Contra Costa County has 4.66 times as many fast food restaurants and convenience stores as grocery stores and produce vendors, making it difficult for many residents to eat a healthy diet. In many older neighborhoods, lead dust from older homes hurts many parts of the body—particularly the growing brains and nervous systems of young children. 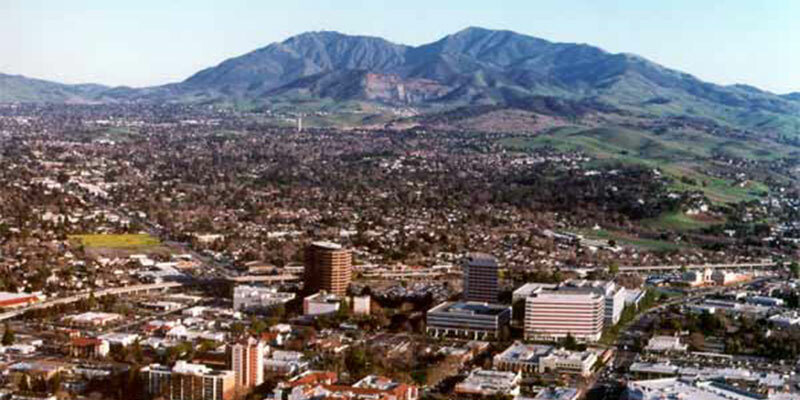 Many places in Contra Costa County do not have infrastructure that promotes physical activity (such as complete streets, sidewalks, bike lanes and parks), thus contributing to diabetes, chronic diseases and obesity. Secondhand smoke makes many public spaces and multifamily housing units toxic, exposing even non-smokers to lung cancer and heart disease. 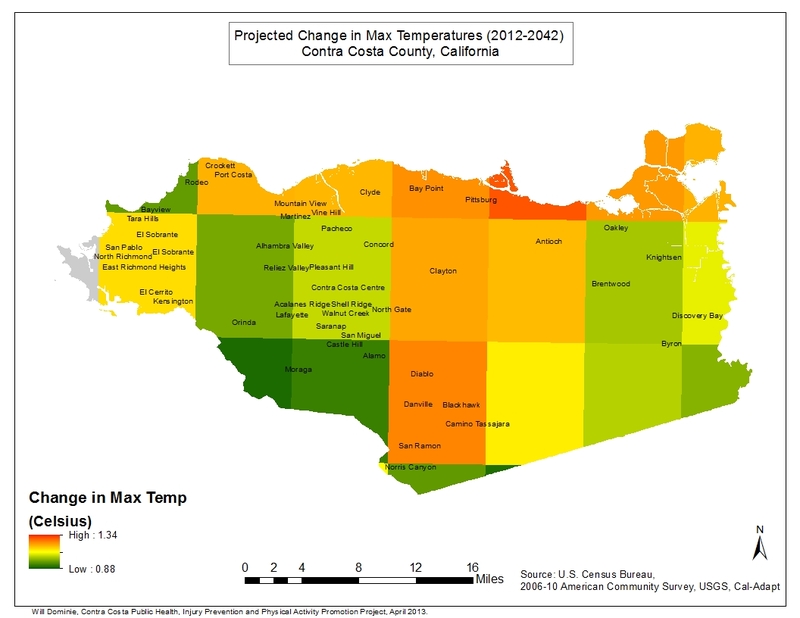 We recently identified health impacts of climate change in the county's draft Climate Action Plan. As part of that process, we also analyzed the ways in which actions taken to prevent further climate change can immediately improve people's health, a positive side-effect known as a health "co-benefit." 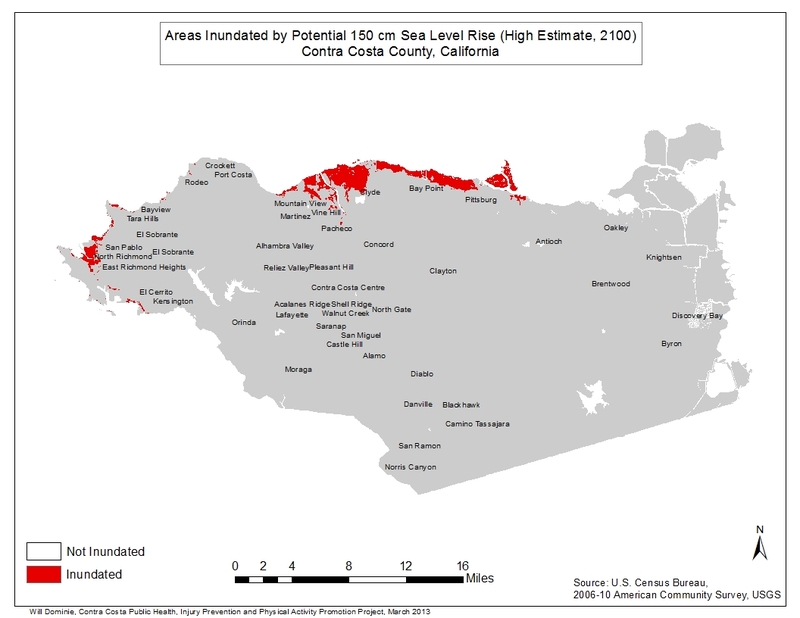 We've also created maps showing where rising temperatures and sea levels will have the most impact in Contra Costa County.